Search Results for "nyc drone"
Aerial view of busy New York city in America, Manhattan district on the shore of East river. Drone flies to city centre. NYC Brooklyn waterfront drone shot into NYC Skyline and skyscrapers. Fast drone shot backing up of traffic on the FDR Drive in Manhattan, NYC, along the Harlem River. Drone follows traffic. in 4K. 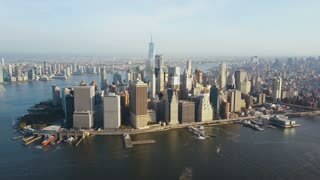 Aerial view of Manhattan downtown, financial centre, New York City. Skyscrapers around. Drone shot. NYC Brooklyn waterfront drone shot into Skyline.